Konnov & Sozanovsky was established in 1992, and has for many years been among the leaders of the Ukrainian legal services market. The firm’s main office is located in Kyiv. The firm also has a regional office in Chernivtsi (Western Ukraine), an office in Moscow (Russia) and a representative office in Nicosia (Cyprus). Konnov & Sozanovsky provides comprehensive legal assistance to national and foreign clients doing business in Ukraine. The firm’s clients are representatives of various sectors of the economy, including telecommunications, IT, alternative energy, technologies, real estate and construction, agriculture, banking, financial services market, pharmaceuticals, trade and distribution. Although Konnov & Sozanovsky is a full-service law firm, we focus mainly on the following key practices: intellectual property, copyright and media law, commercial, corporate and M&A, investments, labor law, dispute resolution, tax, including international tax structuring, land, construction and real estate, IT, renewable energy and green tariff. The firm’s vision is to combine high standards in legal services with an individual and result-oriented approach. Konnov & Sozanovsky’s conformity to international standards of quality of legal services has been repeatedly recognized by such reputable international and Ukrainian guides to the legal profession as The Legal 500 EMEA, Chambers Europe, IFLR1000, PLC Which Lawyer, Who is Who Legal, IP Stars, Best Lawyers, Ukrainian Law Firms. 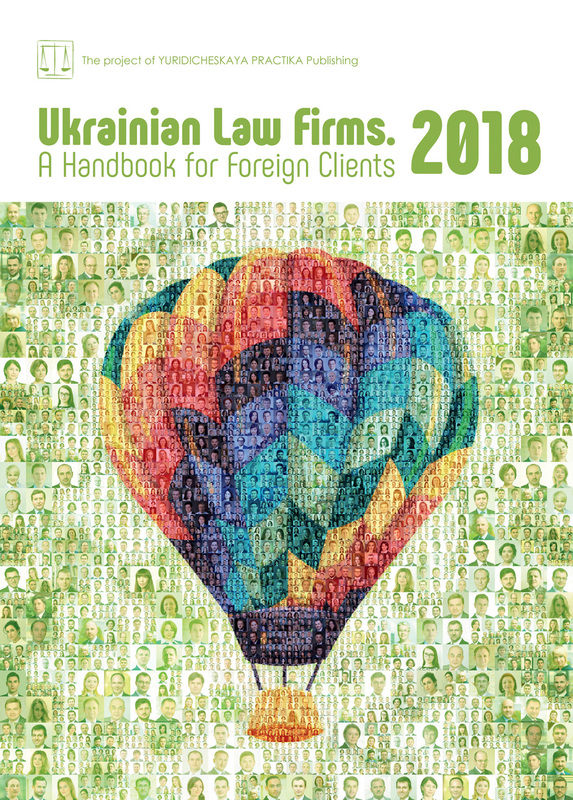 A Handbook for Foreign Clients, TOP 50 Leading Law Firms in Ukraine, Client Choice. The Top 100 Best Lawyers in Ukraine and Leaders of the market by Yurydychna Gazeta. High appraisals are built on our client’s recommendations, favorable reviews from competitors as well as on the opinions of key industry leaders. The firm is an exclusive member of the First Law International (FLI), an international legal network, which consists of law firms from over 80 countries. This enables the firm to render superior legal assistance to clients beyond the countries where our offices are located. limited funding, bureaucracy of the banking system, enabling businesses to obtain the right to use, with minimal initial financial efforts, machinery, equipment, technological equipment, that will generate increased productivity, profitability and increased profits. Talking of Ukraine, there is undoubtedly great demand for industrial engineering vehicles locally, and with not enough money to purchase machinery outright, many prefer to spend less in the long run by owning it, building equity through ownership. This is especially true for machinery that will be owned for five to ten years or more. That is where financial leasing arrangements step in. The legal framework for financial leasing in Ukraine was established in 2008 and has not undergone any major changes since then. The main piece of legislation that governs financial leasing in Ukraine is the Law of Ukraine No. 723/97-ВР On Financial Leasing (the Financial Leasing Law), and the truth is it does have many drawbacks. For instance, some provisions of the Financial Leasing Law are vague and can be interpreted in different ways. What is more important, however, is that it offers inadequate legal protection to the contracting sides, both the lessor and the lessee. For the lessee, the challenge is often due to the fact that almost any violation of a typical leasing agreement, as it is presented by the lessor, allows for termination of the agreement without granting the right to remedy the breach, however insignificant the violation might seem. That said, termination of a leasing agreement means that the lessee loses the right to get the ownership of the leased asset, as well as all leasing payments accrued before termination. On the other side, the lessor, when entering into a financial leasing agreement, wants to be sure that he is safe from, or is able to, effectively mitigate any unforeseen emergencies and potential risks and can reasonably expect to receive what he/she is entitled to under the agreement. At the same time, on many occasions vague and ambiguous provisions of the law have made it possible for unfair lessees to dispute the validity of a financial leasing agreement and, in case of a favorable court decision, to escape their payment obligations under such agreements. Article 16 of the Financial Leasing Law can serve an example of a legal rule that offers lots of room for abuse. In particular, it provides that leasing payments may include: (a) payment to compensate for a part of the price of the leased asset; (b) remuneration due to the lessor for the leased asset; (c) compensation of interest on a loan; and (d) other expenses of the lessor directly in connection with the performance under a leasing agreement. Such wording of the law enabled the courts to interpret it in different ways. In some cases, the courts stated that types of leasing payments, as listed in the agreement, must be in strict correspondence with the provisions of the law. In other cases, the courts regarded this provision as a non-binding, advisory statement. As a result, despite the fact that prices and payments under most leasing contracts in Ukraine were historically pegged to a foreign currency, Ukrainian courts were until recently quite consistent in their unwillingness to award the currency exchange difference to lessors. Hence, leasing companies were not able to compensate their losses under existing leasing contracts caused by the rapid devaluation of the Ukrainian national currency. That’s not to mention the financial burden of loans taken to provide operational financing for day-to-day operations, often denominated in foreign currency. That said, in the last 2-3 years court practice has gradually become more consistent. With regard to disputes regarding the validity of, and performance under, financial leasing agreements, Ukrainian courts tend to rule that: (1) it is legal to denominate leasing payments in a foreign currency; (2) if a financial leasing agreement is terminated and a leased asset is returned to the lessor, the lessee is liable to pay the leased payments accrued prior to such termination, less payments to compensate for the price of the leased asset (but if such payments have already been paid by the lessee they shall not be reimbursed); (3) a rule that allow the lessor to claim lease payments at double the rate in case of late return of the leased asset, may not apply to financial leasing. Since 2014 companies that operate in the financial leasing sector have encountered many challenges. Some of those were due to the rapid downfall of the Ukrainian economy and, thus common for other companies doing business in Ukraine, while others were specific for the leasing business. Apparently, the country, which is de facto at war, cannot offer a favourable business environment. Many businesses, especially in heavy machinery and the construction industry, have dropped dramatically. Taking into account the fact that industrial companies have always been the key clients for financial leasing companies, the general effect on the leasing business was severe. The blow was worsened by legal restrictions that followed the occupation of Crimea and war in Eastern Ukraine. Among those were mobilization (in particular, the military transport duty) and international sanctions prohibiting certain transactions with respect to Crimea. As to the military transport duty, it was introduced by Article 6 of the Mobilization Law with the aim of satisfying the transport needs of the Armed Forces and other military formations during a special period for vehicles and technical equipment. For leasing companies providing for the operation of industrial engineering vehicles (especially in Eastern Ukraine) and their clients, this military transport duty resulted on many occasions in temporary expropriation (but for an uncertain term) of their property for defence needs. In this respect, there was significant concern among the business community that total nationwide mobilization means, for many participants, the risk of bankruptcy and liquidation. Luckily, this scenario did not happen, but there was much work for legal specialists to ensure that the military transport duty was enforced in accordance with established legal regulations. Warfare and occupation, which resulted in de facto loss by the leasing business of key clients operating in Crimea and eastern industrial regions, also generated international sanctions. Some of those backfired on Ukrainian leasing companies, and it was a peculiar example of how globalization may influence private business in different jurisdictions. In the main it was about Executive Order No.13685 of 19 December, 2014, by which the President of the United States of America ordered prohibitive measures with respect to the Crimean Region of Ukraine. Under this Executive Order the following has been prohibited: (i) new investment in the Crimea Region of Ukraine by a United States person, wherever located; (ii) the import into the United States, directly or indirectly, of any goods, services, or technology from the Crimea Region of Ukraine; (iii) the export, reexport, sale, or supply, directly or indirectly, from the United States, or by a United States person, wherever located, of any goods, services, or technology to the Crimea Region of Ukraine; and (iv) any approval, financing, facilitation, or guarantee by a United States person, wherever located, of a transaction by a foreign person where the transaction by that foreign person would be prohibited by this section if performed by a United States person or within the United States. Consequently, US shareholders forced their Ukrainian subsidiaries to terminate all contracts with customers registered in Crimea in spite of huge losses. Despite the fact that many other legal options had been discussed, including novation of such contracts to other lessors, primarily in Russia, or assignment of proceeds thereunder, the schedule was very tight and many chose to simply forgive all the debt owed to their Crimean clients and give away the leased machinery. registration, as required by Ukrainian legislation, namely the Law of Ukraine On Establishment of the Free Economic Zone Crimea and Special Aspects of Economic Activities on Temporarily Occupied Territory of Ukraine (the Business in Crimea Law) were, therefore, not able to benefit from the US prohibiting measures with respect to Crimea. Their leasing contracts remained valid and binding. There is a new law on financial leasing in the pipeline waiting to be adopted by the Ukrainian Parliament. Many experts believe it should improve state regulation of leasing activities, step up protection of the rights of consumers of financial services, and bring the legislation of Ukraine into line with both European practice and best world experience.